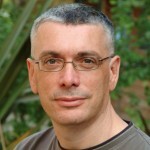 We are delighted to announce that one of the 5 Centres for Doctoral Training (CDT) will be led by Professor Steve Benford from the School of Computer Science, and entitled ” Creating Our Lives in Data”. The CDT – co-funded by over 40 industry, third sector and international partners – will train a community of 65 future leaders to harness digital technologies to make smarter products in smarter and responsible ways by bringing together leading figures from computing, engineering, social sciences, business and humanities. Creating Our Lives in Data will also include researchers from the Centre for Computing and Social Responsibility at De Montfort University.